An upcoming visit to an oral surgery office can surely create anxiety. All patients are concerned with the potential for pain. The big question is, "Is the procedure is going to hurt?" Modern technology and training now make it possible to perform complex surgical procedures in an ambulatory care setting with no discomfort. Knowledge and trust will help bring the anxiety level down. Dr. Asdell not only is a specialist in dealing with problems of the mouth, teeth and jaws, but also is experienced in dealing with the control of pain and anxiety. Dr. Asdell received extensive training in the use of in-patient and out-patient anesthesia. Dr. Asdell is thoroughly knowledgeable in pain and anxiety control and possesses extensive clinical experience in anesthetic techniques. These techniques range from local anesthesia to sedation to general anesthesia. Dr. Asdell feels that a way to reduce anxiety is to make the patient aware of what to expect during surgery. It's usually true; the more you know, the less you have to be anxious about. That's why a consultation is extremely important. During the consultation, you will have the opportunity to review with Dr. Asdell and his staff, the type of anesthetic to be used, as well as the way you're likely to feel during the operation. Dr. Asdell and his staff will answer any questions you may have about the procedure. There are several different ways of controlling pain and anxiety: local anesthesia, nitrous oxide-oxygen, intravenous sedation and general anesthesia. The vast majority of patients are very satisfied with their choice of anesthesia, usually general. Pain management continues after any surgical procedure. Dr. Asdell will prescribe the appropriate medication to make you as comfortable as possible when you get home. Dr. Asdell and his staff truly share your concern for your well being. Dr. Asdell also has the training, the knowledge and the experience to make your visit as pleasant and comfortable as it possibly can be. In this day and age, a trip to the oral surgeon should be a pleasant experience. Dr. Asdell has extensive experience in adult and child sedation and general anesthesia. The use of modern anesthesia technology in an oral surgeon's office now makes it possible to perform even complex surgery with little or no discomfort. During surgery, there are several ways to control pain and anxiety: Local anesthesia numbs the surgical area. 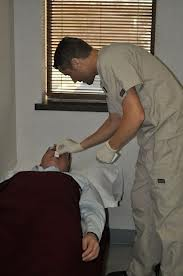 General anesthesia puts you to sleep and allows you to have the procedure without any memory. You will have the opportunity to discuss the different types of anesthesia with your doctor at the time of the consultation. If general anesthesia is selected, it is necessary that you do not have anything to eat or drink for 6 hours prior to the surgery. There is a possibility, due to many different factors, that your procedure will be performed in the hospital. This decision will be made at your consultation appointment.